Take off 20 lbs in 2013! 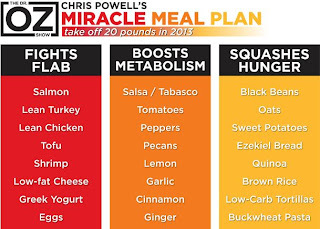 Check out Chris Powell's Miracle Meal Plan. If you need a boost select a food from the list. Need more meal ideas check out this list of recipes & more at Dr Oz.